Among the Record Company that over the decades have made history you’ll find Atlantic Records. Founded by the now legendary turkish brothers Nesuhi and Ahmet Ertegun in 1944 , Atlantic Records first released some of the greatest Jazz artist sucha s Sarah Vaughan Dizzy Gillespy , Erroll Gardner, John Coltrane, Django Reinhart and many more. After moving into R&B by pushing the career of artist such as Ruth Brown or Ray Charles , Atlantic Records hired Tom Dowd who scored more hit than George Marting and Phil Spector combined and moved the label into Soul and the 60’s. After being one of the Soul Label that will be remember in history with artist such as the Drifters, The Coasters, Ray Charles and many more, and one of the biggest record company of the 60’s, Atlantic Records was sold to Warner Bros. in 1967 by vice president Jerry Wexler and Nesuhi Ertegun. The Warner took Atlantic records into the Rock Era, signing artist such as Crosby, Still & Nash, Led Zeppelin. Atlantic records has since the 90’s moved into Rap and hip-hop, owning 50% of Interscope Records. 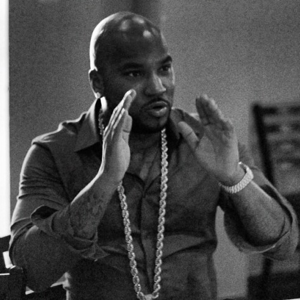 It is in one of the most important music label of the american history that 35 years old Jay Waynes Jenkins aka Young Jeezy, former member of the MBF (Mafia Black Family), member of the United Streets Dopeboyz of America (USDA) and hit maker in the world of hip-hop has been named Senior Vice President of A&R at Atlantic Records. Though it is common for artist to for artists to be executives of their own imprints that are distributed through major record labels it’s not every day that we see one taking office at one of the biggest companies in the business.